The Sheldon Cooper Bobble Head is an excellent choice for the "Big Bang Theory" fan in your life. Complete with Green Lantern T-Shirt, he will bob along with you in the car or welcome you home after a long day. Another great gift for this fan is the Rock, Paper, Scissors, Lizard, Spock T-Shirt or mug. There’s also the Singing Soft Kitty plush that sings the “Soft Kitty” song from the show. For those in your life who "wanna go fast," gift a day (or two) at the race track going 0-60 in 4 seconds! The adrenaline junkie loves memories and adventures more than wrapped gifts: Experience and the thrill (not to mention the opportunity for a new Facebook profile picture) gets them excited. Move past the limitations of skydiving and Bungee jumping and give a day as a fighter pilot, a day tank driving or better yet, tank paintball. The beer of the month club is a great gift option for that friend who talks about the complexity of beer and is nearly insulted by the concept of "light beer." Thanks to new and obscure breweries, the selection and variety of beers has greatly improved over the years. Consider a home brew kit. Home brewing has been growing in popularity and it is a great gift for someone who has been tempted to take the plunge. A personalized growler or a unique and practical growler car carrier also make great gifts. What better way to share a love of "Star Wars" than to dress up the dog in an adorable Yoda costume? The wisdom of the beloved "Star Wars" character is apparent in this canine-friendly outfit. The popular iPad app “Game for Cats” is hours of entertainment for the frisky feline. A self-operating “chase the laser” game can entertain everyone, not just the cat. Warning though, this is probably best for the declawed cat. 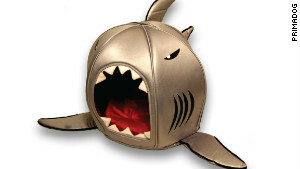 Katy Perry tweeted a photo of her cat in this fun Shark Dome Bed, proving celebrity cats enjoy the geeky, and unique as well. The Pet’s Eye View Digital Camera allows pet owners to see a day in the life of their pet. Microplushies are fun for the biologist who has been wondering why their interests in germs and bacteria have yet to be appreciated with their own plushie. Now they can have creative and fun decor for their laboratory. Webcomic xkcd is a favorite of fans of math, science and sarcasm. 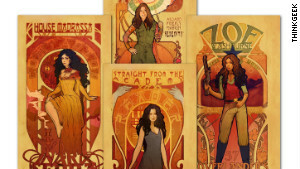 You can purchase prints of selected comics on the website. I recommend the "Gravity Wells" print for a fun and visual representation of gravity on different planets. Science fans can explore their ancestry and genomes with a DNA kit. Just send in your DNA sample with the kit and a CLIA-certified lab analyzes your DNA in 6-8 weeks. A meteorite pendant necklace is a great gift for the space-loving woman in your life. 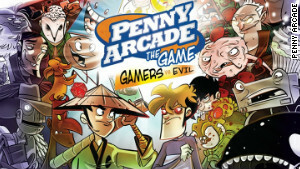 Fans of popular webcomic Penny Arcade (which covers the world of games and gaming) will enjoy Penny Arcade: The Game - Gamers vs. Evil by Cryptozoic. This game features the characters and themes from the comic, some of which are very adult, so while it is hilariously fun it's probably not for the whole family. Penny Arcade, aside from the webcomic and associated gaming con PAX, also offers gifts for the few video gamers who have not heard of the franchise. 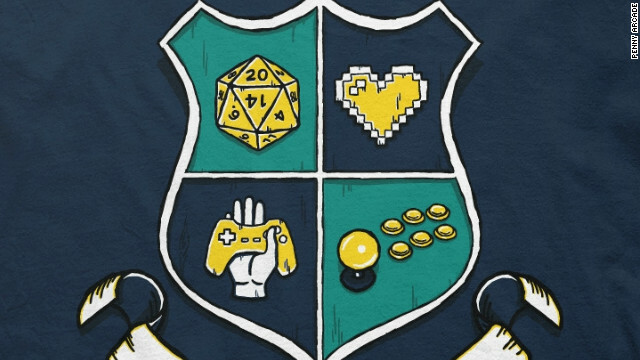 Their T-shirts appeal to the video game and D&D RPG crowd. Video games can have a cult following. If you know a person's favorite game there are many options. Fans of Portal 2 will appreciate the in-joke posters available with popular quotes from the game. For fans of Assassin’s Creed, check out this hoodie inspired by the game. The earliest known chemical evidence of barley beer dates to circa 3500–3100 BC from the site of Godin Tepe in the Zagros Mountains of western Iran..
Wow, marvelous weblog layout! How lengthy have you ever been blogging for? you make blogging glance easy. The whole look of your web site is excellent, let alone the content material! I don�t even know how I ended up here, but I thought this post was good. I don't know who you are but certainly you're going to a famous blogger if you aren't already 😉 Cheers! Thank you Anna! I just have to make these for my Father, and Father's Day in Australia is in just a couple of weeks so it soulhd give me just enough time to squeeze them in between my other projects!! Thank you, thank you, thank you! the rabbi, she was a gelnite who had worked as his secretary in the consulting venture. She had died tragically and her well-to-do family, he said, endowed the foundation. He was very convincing, but as I checked the story, the facts turned out to be quite different.SHE was not rich. Her real name was Gloria Jean D'Argenio. She adopted Estelle Donna Evans when she looked for modeling jobs. By 1966 she was involved in a romance with Rabbi Kahane. She was 22 years old. Her roommate told me that Estelle had told her the rabbi had promised marriage. Then, the roommate said, he sent a letter breaking everything off, admitting he was married with children and saying he could not leave them. On July 30, Estelle Donna Evans jumped from the bridge. Pulled from the water, she died in Bellevue the next day. The letter was in her pocketbook.I confronted the rabbi with what I had learned. He put his hand on my knee and said, "I loved her." He acknowledged everything and told me he had placed roses on her grave for months. He then began pleading with me not to publish the full account of this story. His self-assuredness vanished and he started to stutter.He came to my office. He told me that writing about his affair would torment his ailing mother and inflict pain on his wife and his children. At one point he promised that if I withheld the story he would abandon public life. On another visit he told me a story about a rabbi who as a young man wanted to save all the Jews in the world. In middle age he wanted to save the Jews of Poland, and when he had grown old he hoped to save just one Jew, himself. "I am that rabbi," he said.